Good morning everyone! It's time for another Mojo Monday sketch challenge. I love to combine different patterns of paper. The bright Designer Series Paper Stack gives you four great patterns to choose from. These two are my favorite. Today I chose the hostess set called "A Whole Lot of Lovely" and instead of a pink and grey, I chose to combine Melon Mambo with black. Love how black can really define a card. I loved today's "tall and skinny" sketch challenge, so I made two different cards. The second card is for those who like a cleaner, simpler look. Which card do you like best? Love the itty bitty flower. This flower is contained in the Tree Builder punch - along with cupcakes, ice cream cones, a tree, etc. Such a versatile punch! 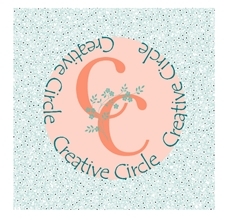 Next week I'll be posting my first designs for the Creative Circle Team - stay tuned! Fantastic card! Love the red, black, and white combo and all of the great texture that the embossing and twine gives! This is just fabulous. Just the perfect little embellishments. Thanks for playing along with Mojo Monday!